The reliable, ultra-efficient enterprise level file synchronisation, replication and distribution software. SureSync is scalable to manage even the largest datasets. Replication and synchronisation technologies are key components to network infrastructures, allowing IT Staffs to effectively protect, distribute, and share information between remote offices and disaster recovery data centres. SureSync is a cost-effective data management solution that provides you with flexible and reliable file synchronisation and replication. Whether you need to synchronise files between PC’s or multiple servers, SureSync will help you get the task done. Automate replication & synchronisation on a schedule to Windows and non-Windows machines, using UNC path, FTP or SFTP access. Real-time, 24x7 file replication & synchronisation for mission critical data via TCP/IP connectivity. Delta technology ensures only the blocks of a that have changed are copied reducing bandwidth & time taken to synchronise. Eliminate slow, remote file access. Synchronise file changes between sites in real-time and lock file copies as they are edited. 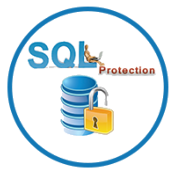 Don't be caught without SQL backups! Automate SQL backups and replicate backups to secondary storage or remote data centres. Worried about losing files on lost, stolen or broken laptops? Ensure files are protected, regardless of where your workforce is located. 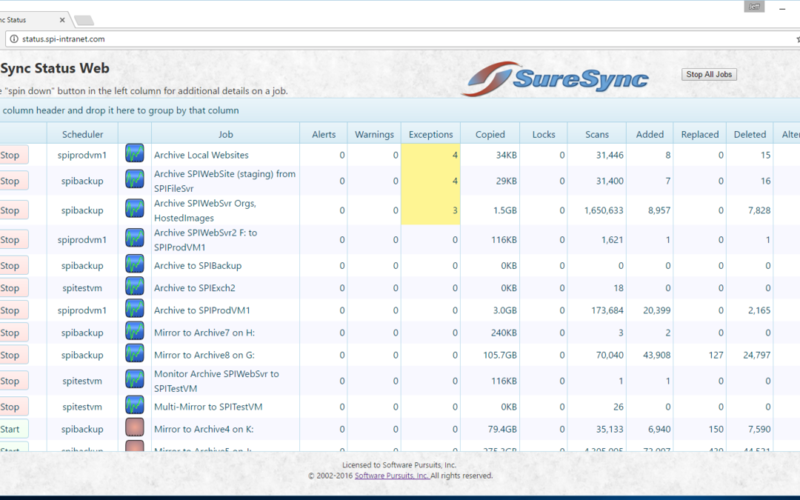 An IIS based SureSync add on which will enable you to see the status of every job in every Suresync instance in your organisation as well as stat & stop Jobs. The SureSync Desktop allows central management of all products, providing a powerful core engine for data management across your network. Scheduling and real-time capabilities allow you to employ a fully automated replication & setting. With Enterprise Status & Job Status applications, you can easily monitor the heartbeat of your synchronisation environment. SureSync’s suite of products can be mixed and matched, putting you in charge of your data and how its movement is managed throughout your organisation.